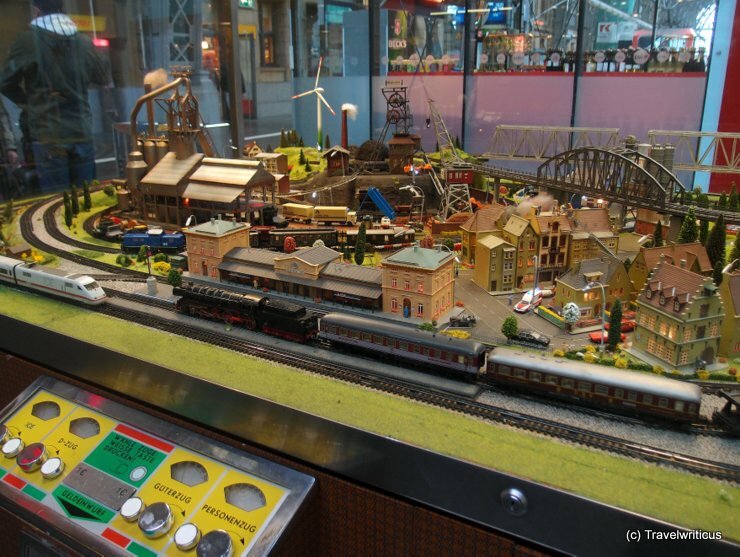 In several German railway stations there are model railway layouts where children (and their parents) can play with after putting in an 1 Euro coin. The layouts are pretty large and offers a lot of interesting details. 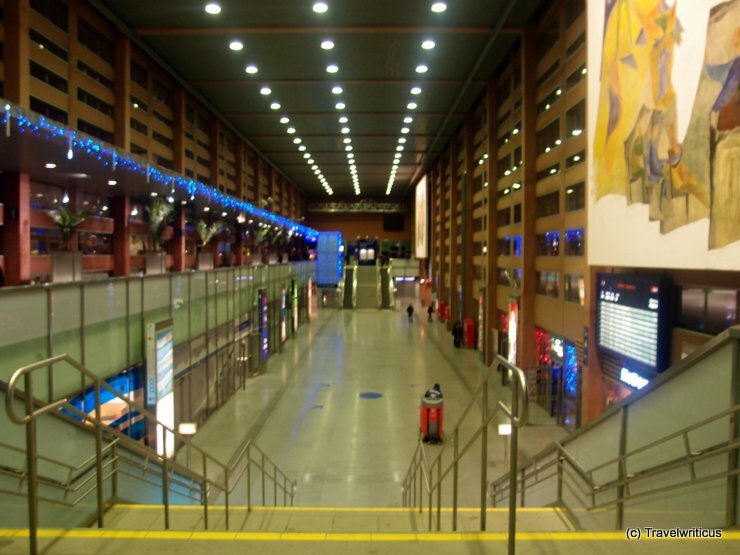 Do you know similar layouts in your city … and would you spend an Euro for having some fun? 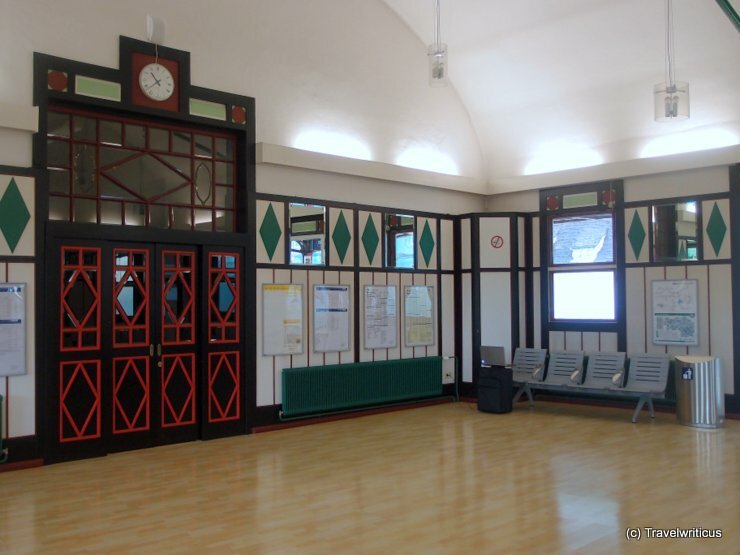 In the small Styrian municipality of Selzthal, the structures of the railway station dating back to 1872 are still existing. So one can spend the time of waiting in this lovely decorated room. 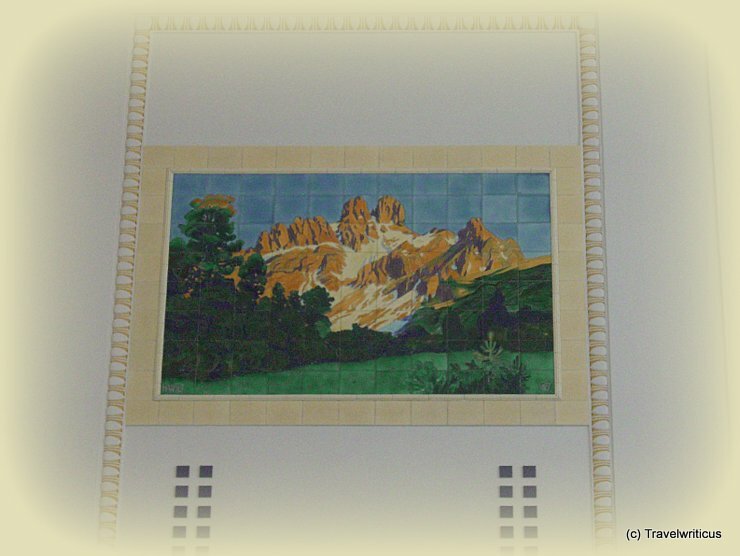 One of the architectural highlights of the renewed Salzburg central station are 100+ year old tile paintings like that one shown above. 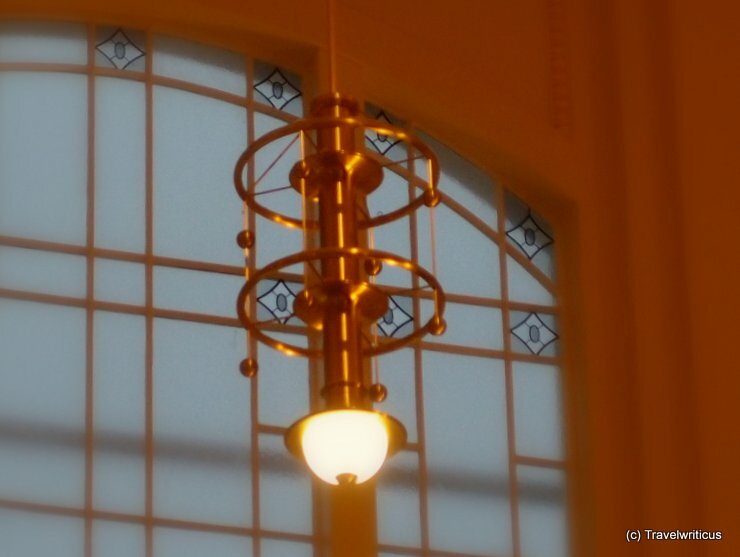 If you look at them at the entrance hall don’t miss the classic lamps at the ceiling as well. 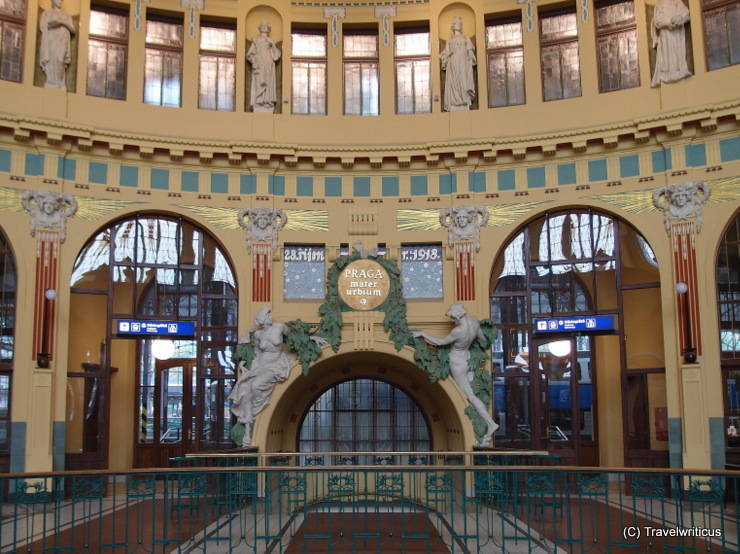 The rebuilt central station of Salzburg is still using some elements of the old railway station. For example 100+ year old tile paintings and lamps like that one shown above are providing a classic feeling at the entrance hall. First view of Salzburg: Mountains! 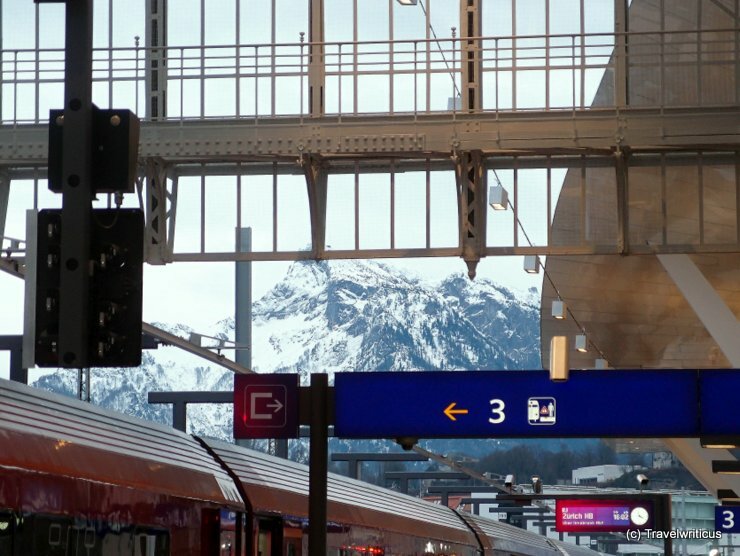 Always a great view after leaving the train at Salzburg Central Station: The Mountains! 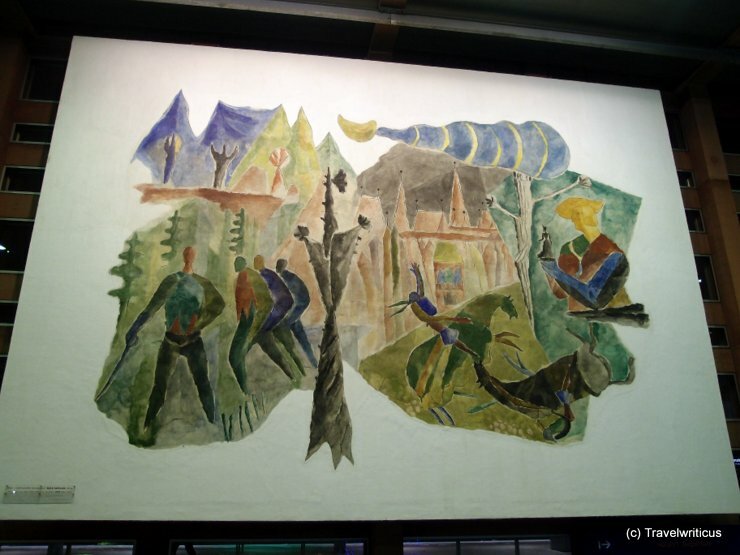 My 10th day of my InterRail journey started in Vienna. 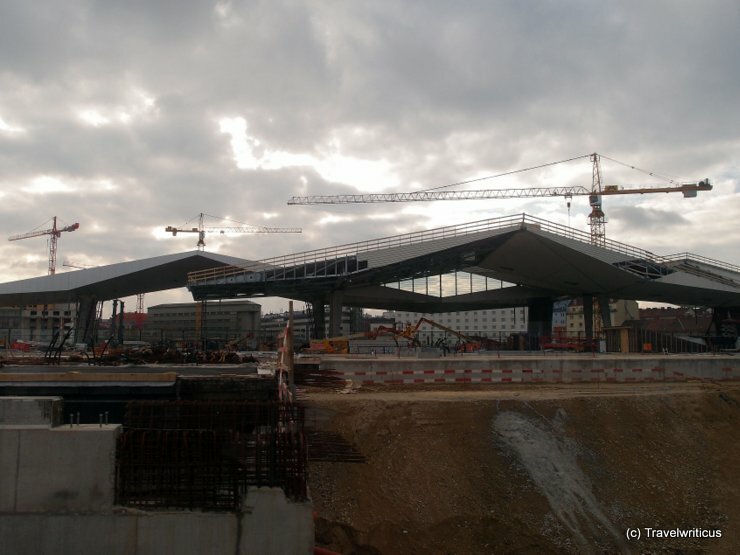 From my train to Brno I had an excellent view of the huge construction site for the new Vienna Central Station (Wiener Hauptbahnhof).